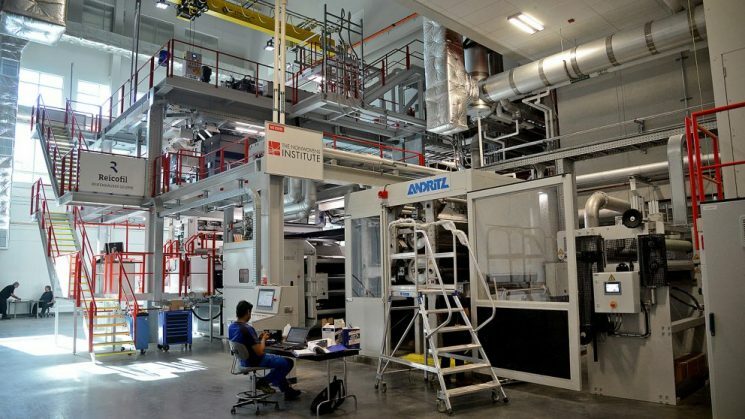 The Nonwovens Institute moved into a new one-of-a-kind manufacturing facility on Centennial Campus this week. NWI hosts the first and only accredited academic program for the interdisciplinary study of engineered fabrics in the world. Research from the colleges of Textiles, Engineering, and Natural Resources and industry partnerships grow and sustain this segment of the textiles industry, creating jobs throughout North Carolina. “Nonwovens may be the best hidden industry we have. We’ve been using advanced manufacturing and automation for 60-plus years.” Behnam Pourdeyhimi, executive director of the Nonwovens Institute.